I made this soup using leftover broccoli and cauliflower in the refrigerator. I actually made the soup and refrigerated for 2 days then added to the pot and once I brought to a almost boil I added in the cream. It was a little thick so I added about 1/2 cup more of vegetable broth. This soup was really good. I may add a little red pepper flakes in next time! 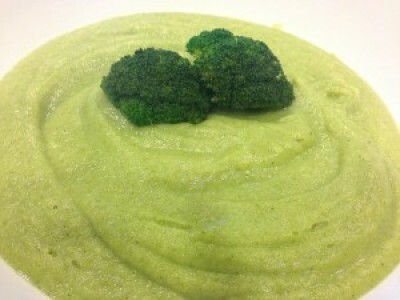 Take broccoli and cauliflower and coarsely chop. In a large pot melt the butter and olive oil. Add the onion, garlic and parsley and cook over low heat, stirring occasionally, until softened, about 5 minutes. Add the broccoli and cauliflower to the pot along with the broth and bring to a boil. Cover and simmer over low heat until the broccoli and cauliflower are tender, about 20 minutes. Working in batches, puree the soup in a blender until very smooth. Transfer the soup back into your pot. Stir in the cream and bring to a simmer over moderate heat, stirring often.